← Travelogue: What’s Your Next Spring Road Trip? By now, you probably sorted out that this Historiography is focused on Ford’s Fox platform. It was a platform that yielded questions as to why it was developed in the first place – and how a competing platform was rejected, resulting in high profile terminations of executives. In fact, that story continued elsewhere. In the mid-1970s, the OPEC Oil Crisis put Detroit on notice. The call was to just do more than downsize large cars, but to create more efficient smaller vehicles for the market. Ford had a plan to do so with an all-new front-drive-based platform that would spawn sedans and a new type of vehicle for families. The latter would be the forerunner of what we would call the minivan. As you recall, Lee Iacocca was a top executive at Ford and the biggest proponent of this new family of vehicles. Though the focus on this new platform was on the North American market, it did not include markets outside of our own – such as Europe. Ford of Europe was working on a subcompact front-drive car and was consider a larger car using the same engineering format. The North American project did not consider those projects into their plans. At the same time, work was being done for an all-new rear-drive platform set to replace several vehicle lines at once. Their focus was to create an all-new Mustang on this platform in order to save it from putting its iconic nameplate on a platform shared with the subcompact Pinto. However, the next Mustang would not be the first model to be built on this new rear-drive platform. The idea was to replace the compact Maverick with a more conservative looking model. They also were developing a wagon version of this same vehicle – something Ford had not offered since the demise of the Falcon in North America. Ford’s Chairman, Henry Ford II, was seen as a traditionalist. He liked the idea of preserving the Mustang on the rear-drive platform, while developing conservatively-styled cars for the masses alongside of it. He flatly rejected the front-drive platform project in favor of the rear-drive one. Iacocca would eventually lose his job in 1978 after clashing with Ford on the new platform. The front-drive program would wind up saving Chrysler in the 1980s. What Ford decided upon would become the Fox platform. To make an interesting point about this development of this platform was that Iacocca approved it in 1973, while Hal Sperlich, Ford’s Vice President of Product Planning and Research, was spearheading the development of the rejected front-drive program. Still, the Fox platform would become the backbone of a compact car push in the late 1970s for Ford. The main idea behind the Fox was to develop it over several wheelbases. That way, it would replace up to ten different models across all three brands – Ford, Lincoln, and Mercury. This platform may have its sights on replacing compact cars, such as the Maverick and Mercury Comet, but it was also seen as part of a downsizing movement for Ford to bring their mid-sized products down one-to-two notches, such as the Mercury Cougar. In 1976, Ford was also working on the Panther platform for its full-sized models. One model that was passed up for the platform was the Thunderbird. That year, the Thunderbird was downsized onto Ford’s mid-sized platform to replace the Elite. The Elite was a Thunderbird-ish model sold alongside the Torino and Gran Torino. For 1977, the Torino was replaced by the LTD II, who took plenty of elements from the luxurious Elite in its design and model execution. Placing the Thunderbird onto the mid-sized platform was not seen as a transition towards its envelopment onto the Fox platform at that point. No one saw that coming in 1976. The next year, Ford introduced its first two models on the Fox platform – the Ford Fairmont and Mercury Zephyr. As stated before, these two models were designed very conservatively to the models they replaced. Both sedans were traditional three-box models – no fastbacks, like the Maverick and Comet. They added a station wagon model, which closed the gap between the Pinto/Mercury Bobcat and LTD II long-roof models. Later in the 1978 model year, the Fairmont and Zephyr spawned a coupe variant with a more rakish roofline and unique glass and rear end treatments. The Fairmont Futura and Zephyr Z-7 added style to what was termed as a very bland design. Both the Fairmont and Zephyr lineups were simply badge-engineered models from the body inwards. The engines were shared across most of the Fox platform, starting with the Lima 2.3-liter four-cylinder engine, churning only 88 horsepower when the Fairmont/Zephyr was introduced. The first upgrade was to an in-line six-cylinder engine which had less horsepower than the Lima four-cylinder, but with substantially more torque. 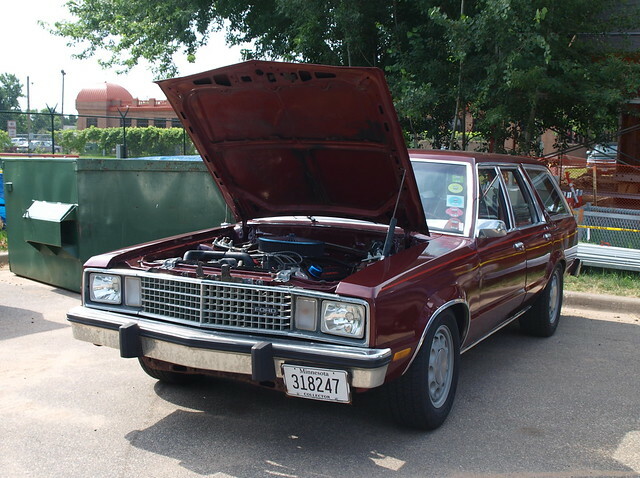 In early models, a 4.9-liter Windsor V8 was available, reduced to 4.2-liters in 1980. Then, you compared suspension bits, which were also shared across every Fox platform model – an independent front set-up with a solid-axle rear end. The next model year finally yielded the successor to the unloved Mustang II. 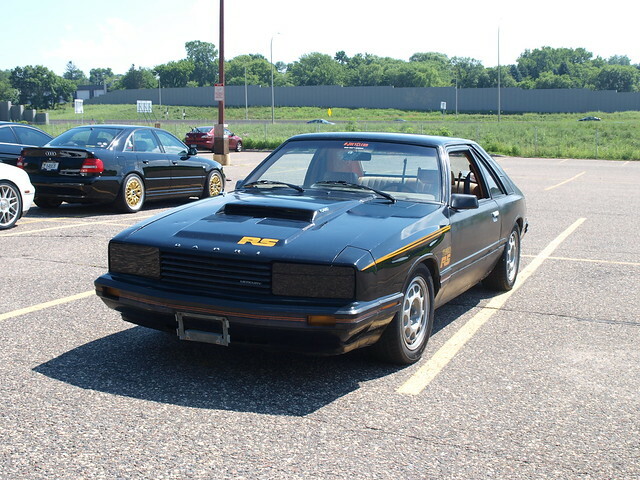 The Fox Body Mustang was born. The Mustang would have the longest run on this platform, stretching two generations. In fact, some have said the perfect application of the Fox platform was the Mustang – and rightfully so. 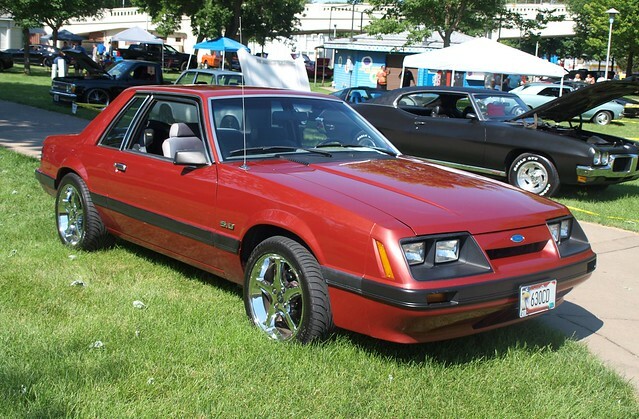 Initially, the same engine lineup in the Fairmont and Zephyr powered the early “Foxbody” Mustangs. Yet, the in-line six was not available immediately. That came when supplies of the Cologne 2.8-liter V8 was running short at each factory. Some have said that it was not exactly a good replacement for the more powerful – and quite troublesome – German V6. The V8 offers were also the same as the Fairmont/Zephyr, with the 4.9-liter Windsor offered first, replaced by the smaller 4.2-liter V8. However, customers were demanding the return of the Windsor. Instead they got a turbocharged version of the 2.3-liter four-cylinder engine. At 132 horsepower, the turbo was powerful, but very unreliable. The same platform gave birth to a North American version of the Mercury Capri. Instead of importing the small coupe from Germany, Ford developed the Mercury model from the Mustang’s hatchback shell with specific distinctions in design. The Mercury’s front end was blunter with brand-specific trim distinguishing the Capri from the Mustang. The engine choices were the same, and it shared many components with the rest of the Fox platform models. There were distinctions made between groups of Fox platform variants. The Mustang/Capri rode on a 100.5-inch wheelbase, while the Fairmont/Zephyr was at 105.5 inches. The next round of Fox platform models was made on an even longer wheelbase of 108.5 inches. Some of these newer models even rode on the same wheelbase as the Fairmont/Zephyr. 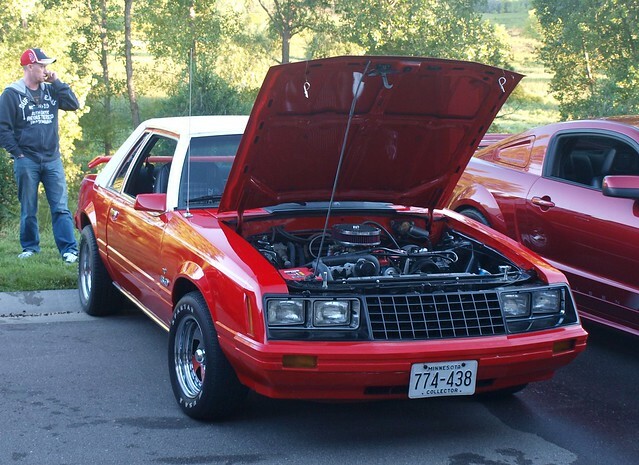 Mercury also downsized the 1980 Cougar XR-7 coupe to the exact same lines as the Thunderbird. Both models were very uninspiring, which lead to a loss in sales over the last generation model. Luckily, both coupes did not get the Lima four-cylinder engine or the turbocharged versions of the same motor. By the middle of the 1980 model year, the in-line six became the standard engine – a first in Thunderbird’s history. A new 3.8-liter V6 would appear while the boxy Thunderbird/Cougar XR-7 were in production. For 1981, Ford decided that it would be best to combine the Granada and LTD II into one model. The same strategy was developed for Mercury with the Monarch merged in with the Cougar sedan/wagon. The interesting fact about the new 1981 Granada and Cougar sedan/wagon was that it rode on the same wheelbase as the Fairmont/Zephyr. This would signal a foretelling of the decade to come for Ford. The next model year yielded the most interesting vehicle built on the Fox platform – the Lincoln Continental. Riding on the longest of the platform’s wheelbases, the Continental followed a trend that had taken hold among American luxury cars of the neo-retro bustle back design that first began with the 1980 Cadillac Seville. Lincoln’s interpretation of this design element integrated the classic “Continental tire” onto the trunk lid. Originally, the front end was criticized as being too blunt and not as elegant as the Town Car and the Mark VI. That was addressed in the mid-cycle for 1984 as the front end was redesigned with a cascading look. With all of the “first wave” of Fox platform products in place, a second wave began to form. It was truly out of necessity. The boxy 1980-82 Thunderbird received it fair share of criticism from the size reduction to its overall design and quality. It seemed that Ford forced the Thunderbird down to the Fox platform with huge penalties against it. Customers simply rejected the boxy Thunderbirds and wanted something befitting of its image from the past – the personal luxury coupe of choice by Ford loyalists. In 1982, we began to see a new kind of Thunderbird take shape. The wheelbase was reduced to 104.2 inches – less than the mid-sized sedans on the same platform. However, the biggest change would be the work of Ford’s chief designer Jack Telnack. The Thunderbird took a radical direction design-wise following a flowing aerodynamic bodyline with curves, including doors built into the roof. The 1983 Thunderbird created the greatest impact of any vehicle on the Fox platform – outside of the Mustang. Alongside the 1983 Thunderbird came the Cougar coupe. Unlike the Thunderbird, the Cougar’s roofline followed 1980s convention with a formal rear window and a reversed angle on the glass beyond the B-pillar. If anything, the Fox platform was given a infusion of life because of these coupes. Ford also made some key product decisions that would shape the future of the Fox platform. In 1983, Ford finally developed a compact front-drive platform for the North American market. The aim was to replace the larger Fox platform Fairmont and Zephyr lineups with something more modern and – taking a cue from Jack Telnack’s Thunderbird and Cougar – more aerodynamic. The introduction of the Ford Tempo and Mercury Topaz would reduce the number of vehicles on the Fox platform by two. The 1983 model year would also signal another change on the Fox platform. 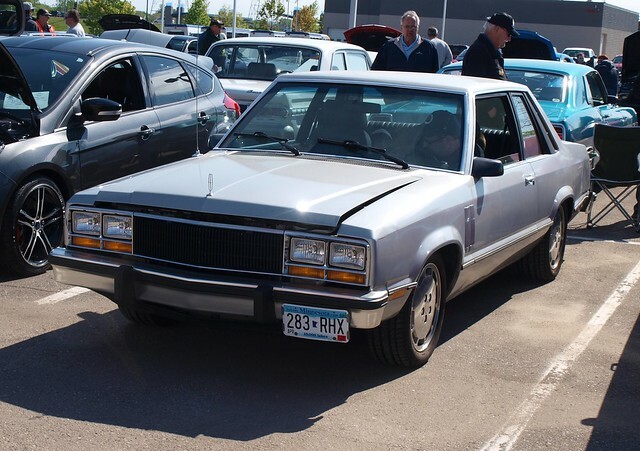 The Granada and Cougar sedan and wagon models would undergo a major change by employing a lighter form of aerodynamic treatments to their mid-sized offerings. They also got new names – the Ford LTD and Mercury Marquis. Not to be confused with the models using the same nameplates on the larger Panther platform, the Ford decided to add more to their nomenclatures for the full-sized cars to distinguish them further from the renamed mid-sized ones: LTD Crown Victoria and Grand Marquis, respectively. It seems that the smaller LTD and Marquis were actually doomed from the start, only to see their existence continue through 1986. Their eventual replacements would be on a new front-drive platform with distinctive aerodynamic styling all around. Those cars would become the Ford Taurus and Mercury Sable. The 1984 model year signaled the introduction of the final vehicle on the Fox platform. The aerodynamic design of the Thunderbird and Cougar coupes were soon affixed to an American icon – the Lincoln Continental Mark VII. 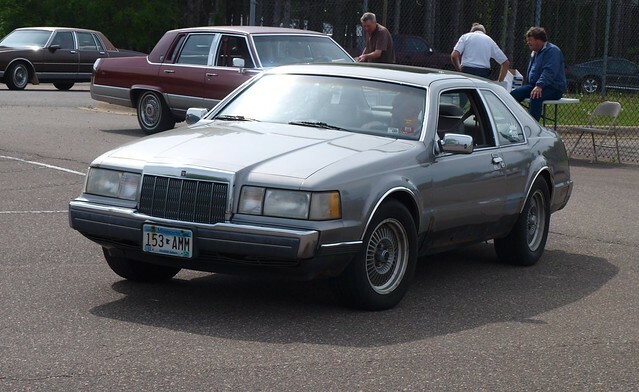 The big Lincoln coupe would become the focal point of the brand’s success and sales leadership in the 1980s. The “Continental tire” jump was given a classic treatment setting off this beautiful coupe’s overall design. Not to mention, the Mark VII would ride on the platform’s longest wheelbase at 108.5 inches – same as the neo-classical Continental sedan. By the end of the 1988 model year, only five vehicles on the Fox platform were still in production. One model would become synonymous with the platform above all other products that were developed upon it – the Mustang. The “Foxbody” Mustang would live on this platform the longest of any of Ford’s, Mercury’s, and Lincoln’s offerings built upon it. After its 1979 model year introduction, momentum for the Mustang would grow to include the return of the 5.0-liter V8 and a high-performance turbocharged four0cylinder version called the SVO. 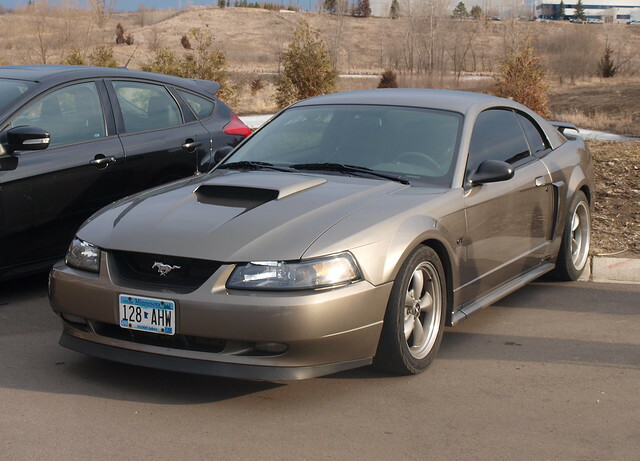 Through 1993, the Mustang would see various updates that would match design trends from the brand, while maintaining an identity that befitted the car. 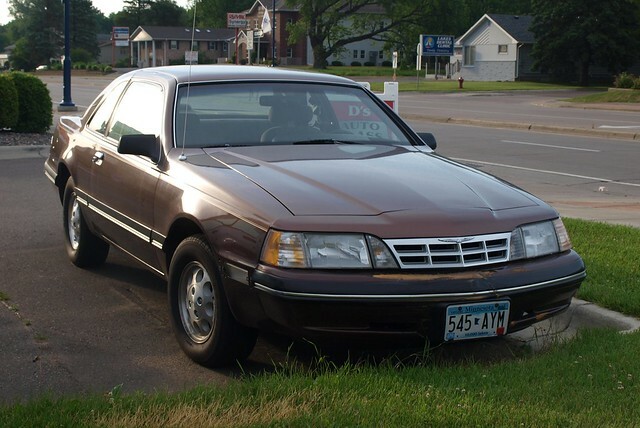 Though the “Foxbody” Mustang ended production in 1993, the Fox platform continued in a more modified form in the fourth-generation version of the iconic ponycar. The “Fox-4” platform would continue through to 2004 with a mid-cycle refresh and a scaling up in horsepower and performance. The highest figure for the final Fox-4 Mustangs would be 390 horsepower. The platform spanned 26 years encompassing various Ford, Mercury, and Lincoln models. Yet, its impact was made not by the most necessary models, such as the Fairmont and Zephyr. Rather, it was the Mustang, which needed the boost considering the mixed reviews and poor quality of the previous Mustang II generation. 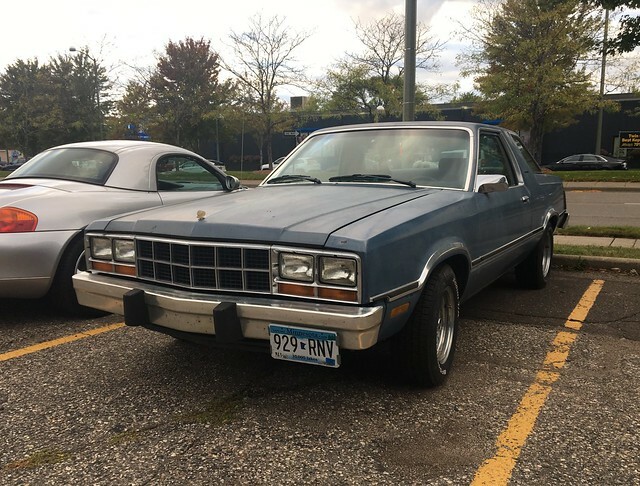 If you add the other impactive vehicles that were built on the platform, such as the 1983-87 Ford Thunderbird and 1984-92 Lincoln Mark VII, then you realize how much the Fox platform helped in Ford’s success through the 1980s into the 1990s. It was a simple, rear-drive car platform that helped in lowering production costs by using a common architecture to underpin its highest volume-selling vehicles at a critical time in the company’s history.